Note: this post contains affiliate links. Affiliate Links allow the blog owner to earn commissions on relevant retro-themed products she thinks her readers may have an interest in. 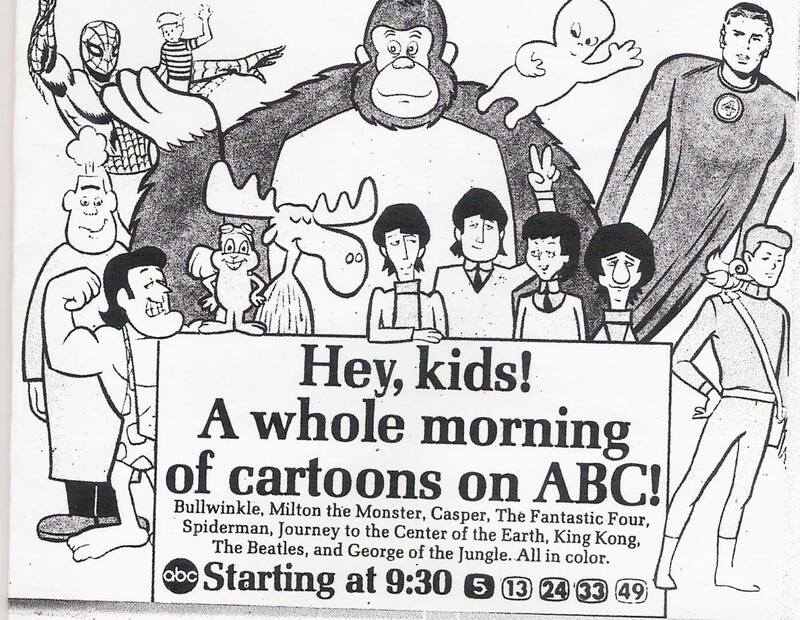 When it comes to the Beatles' entire franchise, the animated ABC series The Beatles is like the lone kid sitting by himself at the lunch table. Most Beatlemaniacs despise the cartoon and consider it to be not much more than ill-conceived malarkey. Yet, I think there's a few reasons why The Beatles deserves at least a little respect, especially when the 50th anniversary of its 1965 debut on American television received zero attention. The Beatles themselves may be the number one reason why any mention of the series was absent from The Beatles Anthology documentary (at least the edited version that aired on ABC) and has never been issued on DVD or VHS, despite being owned by Apple. That's because the group pretty much loathed the way they were depicted, especially their voices, not to mention the goofy plot lines. But more on all that in a moment. We all know by now that The Beatles were the number one band by 1964 and that their superstar status meant there was money to be made by lending their names and likenesses to several marketing tie-ins. There were Beatles dolls, the Beatles Flip Your Wig board game, Beatles lunchboxes, Beatles hairspray, Beatles bubblegum, and even Beatles nylon stockings (which I happen to own a pair of) just to name a few licensed products. Given the critical and box office success of A Hard Day's Night, which enabled a multitude of fans to see their favorite band on the big screen when seeing them in concert wasn't an option, it only made sense that an animated series based on the Fabs would eventually be proposed. That Liverpudlian cheekiness and perpetual sense of fun that The Beatles always seemed to emanate, even during media interviews, seemed to be a natural fit for a cartoon series. 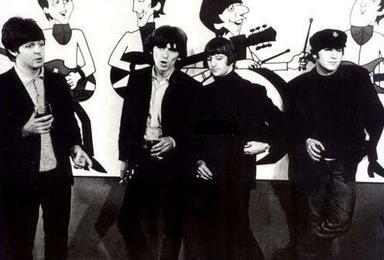 American film and TV producer Al Brodax became enamored with the idea of an animated series of The Beatles after watching the band perform on The Ed Sullivan Show. Brodax had previously produced a series of Popeye shorts for television in the early '60s, which were purposely kept brief so that several of them could be made quickly and aired consistently. These shorts are considered by Popeye fans to be low quality as a result, and a blemish on the franchise. Brodax also produced a revival of Krazy Kat as well as Casper the Friendly Ghost, Beetle Bailey, and several other animated series. Brian Epstein, The Beatles' manager, agreed to let ABC and Brodax create a series for American viewers but he never wanted the show aired to viewers in the UK. He felt that the silly depictions of the band, cheesy plot lines, and somewhat primitive animation was disrespectful of the group. In fact, episodes of the series didn't make its way to the UK until the 1980s...a good decade after the band split up. And that is why the show to this day is much maligned by many Beatles fans. The biggest issue most people have with it is the inaccuracy of the voices given to John, Paul, George, and Ringo. Much as it would have been nice to hear the actual Beatles voice the animated versions of themselves, it just wasn't feasible at the time given their hectic touring and recording schedule. So that meant that voice actors had to be hired for the show. It may sound like four separate men voiced the characters but in fact it was only two. American actor Paul Frees voiced John and George while British actor Lance Percival was tasked with Paul and Ringo. Frees in particular was no slouch when it came to voicing animated characters; he did a ton of work for the Rankin-Bass stop motion TV specials, several Disney projects, and much more. Along with Mel Blanc, he was often referred to as "The Man of a Thousand Voices." In my opinion, Ringo's animated voice sounds like it should have been used for George's...John's sounds more like an upper crust Brit...while Paul and George sound almost interchangeable to me. According to Mitchell Axelrod, the author of Beatletoons: The Real Story Behind The Cartoon Beatles (so far the only published book about the show) the Beatles themselves were less than enamored when viewing and hearing their animated selves for the first time. According to Axelrod, during the screening Ringo Starr commented to Paul McCartney that he'd been made into a dummy while McCartney replied that his voice was way too high pitched (all the while Percival, who did both of their voices, sat embarrassingly between them.) John Lennon said the group had been turned into The Flintstones. Axelrod also explained that it wasn't accidental that less care was given to an accurate voice depiction. Brodax's choices for the Beatles' voices were intentional since he felt that children (and the series was aimed at the youngest of fans, after all) wouldn't be able to comprehend a Liverpudlian accent. And therein lies one of the redeeming features of these cartoons -- when a song is played, it's the actual one as sung by The Beatles. Also, the series was actually the first ever created that depicted real life people in animated form. It later set the stage for The Beatles' more psychedelic animated feature film Yellow Submarine released in 1969, which Brodax also worked on along with the same studio that did The Beatles. And yes, the story lines are a little dopey with the boys usually thwarting female fans or something in female form (even female crocodiles and vampires aren't immune to Beatlemania, as a few clips at the end of this post demonstrate) and getting themselves mixed up in all kinds of predicaments. The dialogue is punched with bad puns and some Brit speak that the Beatles themselves probably never actually said. Indeed, poor Ringo is usually portrayed as a very dim bulb and prone to trouble. But I also find the cartoon quite charming in its own way as well, and believe the illustrators captured each Beatle's physical features and mannerisms quite well. Chris Cuddington, one of the series' illustrators, once recalled that "It took about four weeks to animate each film and I enjoyed it immensely. The characters were easy to draw, and the stories were simple and uncomplicated." Axelrod believes that there's real potential for Apple to capitalize a bit on The Beatles and renew interest in the series, if only they would issue an official release on DVD (bootlegs have been making their way to Beatles conventions for decades.) As he pointed out in a 2015 interview, the simple animation isn't that far off from what many cartoon channels are creating today, and it would offer a chance for kids to get introduced to The Beatles' music. 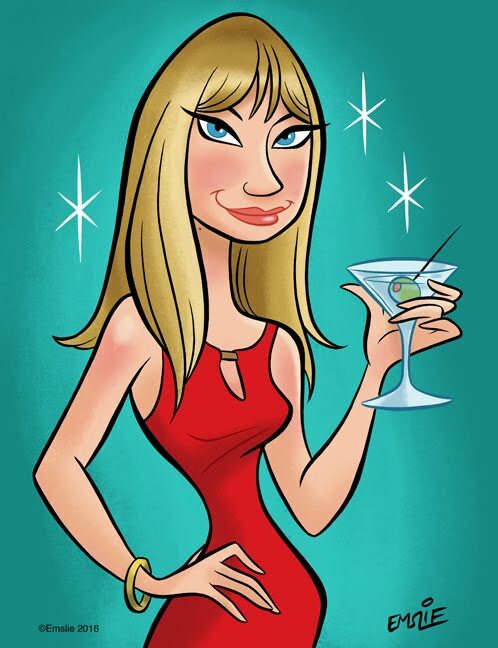 The cartoon has gained something of a cult following in recent years. Even the attitude of The Beatles themselves toward the series softened in later years, with Lennon remarking during an interview, "I still get a blast out of watching the Beatles cartoons on TV" and George Harrison admitting in 1999 that he "always kind of liked (the cartoons.) They were so bad or silly that they were good, if you know what I mean, and I think the passage of time might make them more fun now." 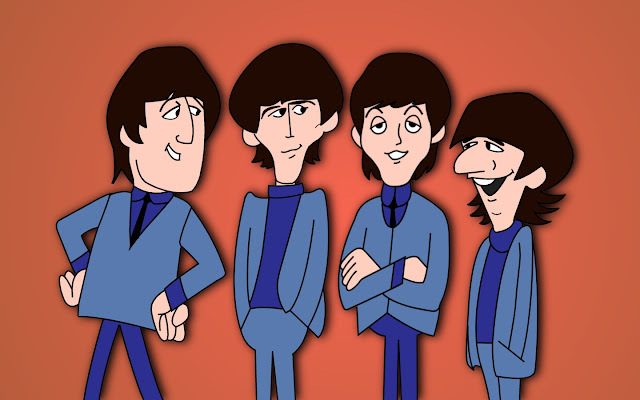 Hopefully one day the cartoon series will be officially released on DVD so that fans who do appreciate them will be able to add them to their Beatles collection. In the meantime, you can follow the Facebook page run by Mitch Alexrod for any developments on the series, and enjoy a few clips of the show below that are currently uploaded to YouTube. That would make sense since both were produced by King Features. My sisters and I watched it every week! Yeah, it was dopey and not as well voiced as it could be, but I liked the way the Beatles were drawn and how their mannerisms were well adopted. The musical sequences were the best, and if I recall, they ever got a little psychedelic toward the end. I never forgot it, and as a kid I could get my weekly fix on George, even if he was a cartoon! George is my favorite Beatle as well. :) I've been a Beatles fan for over 25 years and hadn't even seen any clips until I wrote the post...but your opinion was my honest first impression as well. They did feature two songs from the band's venture into psychedelia..."Tomorrow Never Knows" and "Strawberry Fields Forever." Ringo got hosed on this deal. I live in Mexico and here the series IS available on an official DVD (I have it). I bought it in a regular department store so I'm pretty sure it's not a bootleg. I never saw the series back in the day but I'm glad to have it now.